How to watch The 5th Wave (2016) on Netflix Finland! Sorry, The 5th Wave is not available on Finnish Netflix, but you can unlock it right now in Finland and start watching! With a few simple steps you can change your Netflix region to a country like India and start watching Indian Netflix, which includes The 5th Wave. We'll keep checking Netflix Finland for The 5th Wave, and this page will be updated with any changes. The 5th Wave is not available in Finland BUT it can be unlocked and viewed! After four waves of destruction turn Earth into a wasteland, a teen desperate to find her brother teams with a stranger to prepare for the fifth. Earthquakes, plague and bloodshed have brought Earth to its knees. One teenager refuses to give up before the endgame. There is a way to watch The 5th Wave in Finland, even though it isn't currently available on Netflix locally. What you need is a system that lets you change your Netflix country. 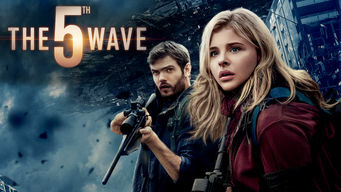 With a few simple steps you can be watching The 5th Wave and thousands of other titles!